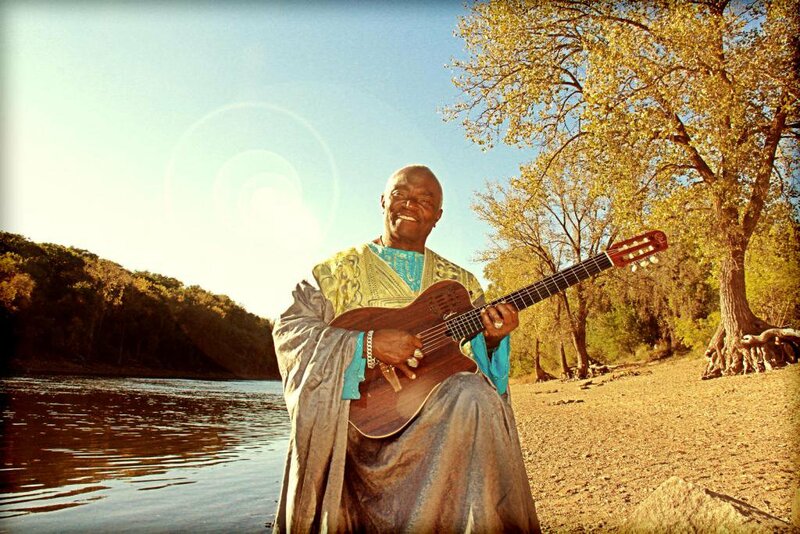 Siama Matuzungidi started life in the Congo where he discovered his love for the guitar. Now, many years later, Siama is making music in the US. His new CD is Rivers – from the Congo to the Mississippi. Siama tells some of his story to Baruch on this episode of Paradigms. Siama is an upbeat guy with an infectious laugh and plenty of determination. His music is all about positive vibrations! Music by: Siama Matuzungidi, and Bavon Marie Marie. We listened to Siama in our youth in Kenya. I wish he could mention the titles of the songs he made in Kenya, especially the one he sung about his girlfriend. He has also not mentioned any of his contemporaries…and the bands he played in. Just noticed your comment. Siama said to greet you and say he’s so happy you remember his music. You must be referring to Sisili, the song he wrote about his girlfriend which Moni Mambo sang and made famous. He also wrote Bomoto for Cavacha and Shika Shika, “Kueya” recorded by Samba, Rebeca was recorded by Shika Shika and Kathi recorded by Ibeba System. Siama played with so many bands! Cavacha, Kombe Kombe, Ibeba System, Viva Makale, Virunga, Shika Shika and lots of popular singers like Moreno, Lovi Longomba, Sam Mangwana, Tshala Muana (on tour), Samba Mapangala, Kanda Bongo Man, Moni Mambo and others. You can hear Siama’s new music and check out a lot of info on http://www.siamamusic.com/Bio. Siama said he hopes that after checking out his website you’ll use the Contact link on the upper right of his site to send him a message.